Home » Blog » News » There has to be a better way to do this? We think the future is all about self-service, communities and websites working much much harder. We now have an internal project to drive forward ideas on how we can do things better. For us, better means simpler, easier, faster and with the customer in mind. 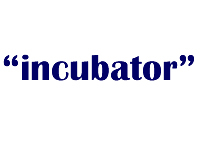 We have created the “incubator” concept, which is an internal “department”, that will help us to develop our business. The first project to come out of this staging process will be our new CMS solution that uses the Expression Engine.